Offering a Customer Newsletter (or eNewsletter) is one of the most TIME effective and COST effective things you can do to increase your Party Plan Business in big ways. Reports show that companies that use eNewsletters have seen an increase in business both in first-time sales and an even larger increase in returning sales. eNewsletters can also increase your customer loyalty, referrals, and enhance your reputation as an “expert” in your field. But how do you know you are writing a great eNewsletter? Here are some tips for making each eNewsletter that you send an exciting, effective marketing tool. Carefully plan out your content. The welcome note should be a personal, upbeat note in your own words that thanks your readers for reading the newsletter, tells a bit about something you might be “excited” about, things going on with your business etc. Make sure it is positive and upbeat – it will most likely be the first thing your customer reads. Make sure it makes a great first impression. Always highlight a single product or product bundle with a link to purchase going directly to that product’s checkout page, if possible. Include a picture, description, sale or special if applicable, and a testimonial – even if it is your own! Include a call to action (“Order Now While Supplies Last”) to create a sense of urgency and inspire your reader to purchase. 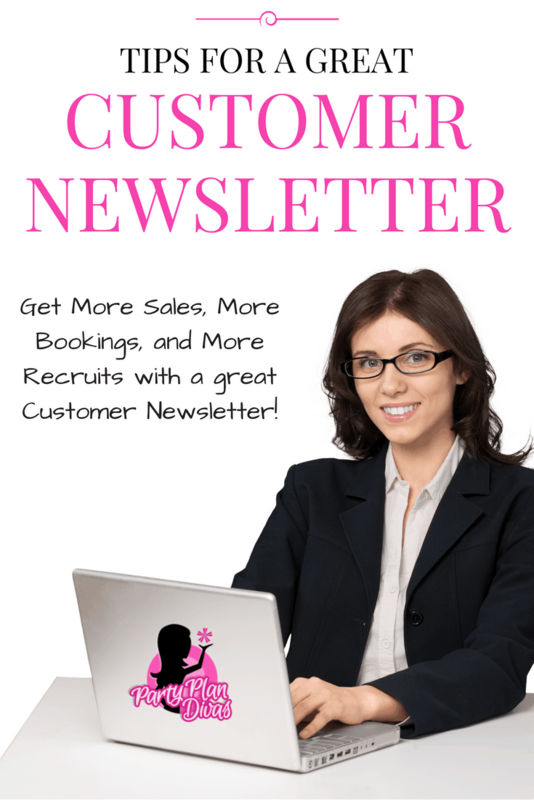 Hostess Rewards and Opportunity should be in every single eNewsletter you send out! You never know who might receive your mailing at “just the right time” for them to book a party or join your team. Your Hostess Rewards should include the sales or specials for the upcoming month – encouraging bookings early in your month to help “front load” your month to increase your monthly volume. Also include a call to action with these as well. *Note: Some newsletter software companies have regulations around this content. Make sure you are in compliance with their rules before sending. An Informational Article turns your eNewsletter into a resource instead of simply a sales page. By offering “free” information – tips, ideas, strategies, etc – your readers will come to know that your eNewsletters are full of useful information for them – even if they do not intend to purchase at this time. Instead of simply deleting the eNewsletter, they are more inclined to open it to see what they might learn. Your readers will be drawn in with the article and may venture over to reading your sales pieces as well. Either way, you are continuing to show that you are knowledgeable in your field and willing to share what you know. You can use content provided to you by your corporate office, or use tools such as Google Alerts to send articles right to your inbox. Even if you have the best, most well-written eNewsletter EVER – if no one is receiving it, your business is not going to benefit at all. The larger your mailing list, the more beneficial each eNewsletter will be. At your parties, ask your party goers for their email address to add to your email newsletter list. 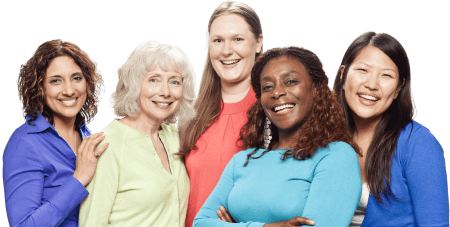 If you are using the “Three Ways to Be Involved” introduction at your parties, include the eNewsletter offer when talking about benefits of being a customer or client. Write a report or eBook to offer for free to everyone who signs up to your eNewsletter. eNewsletter software such as Constant Contact gives you the option of creating an auto responder which can give your brand new readers a free eBook or report when they opt-in to receive your eNewsletter. The report can be “Top Ten Tips” for your industry, a great “how to” report, etc. Remember, YOU are an expert – and the training you receive from your company is meant to build your business. Share what you know! Invite people to join your eNewsletter via your Social Media outlets, email, voice mail, etc. With an Opt-In form – which most all eNewsletter software offer you – you can offer the opportunity for people to sign up for your eNewsletter no matter where they live, what time zone they are in, etc. Your Opt-In form will be there 24 hours a day, 7 days a week. So spread the word about your Newsletter on your Facebook Fan Page, Twitter, account, LinkdIn, in the side bar of your blog, in the signature on your email – everywhere! The whole foundation of Party Plan Divas is a Time Management System that I have specifically created for Party Plan Consultants. If you follow the Diva Success System, you know that I recommend your eNewsletters are sent out on the 20th day of each month. This may go against other training you have seen that suggest sending them out near the beginning of the month, but let me explain why the 20th is an ideal time frame for your eNewsletter. Sending later in the month creates that sense of urgency with your sales and specials because the “offer” is only good for another 10 or so days. When you receive a “sale” that is good for an entire month, it is easy for a customer to think “oh, I want that, but it can wait till next payday.” Chances are you will be long forgotten about by the time that next payday rolls around. The 20th day of the month also gives you time to get some Hostess Coaching in – even if your Hostess books for the very first day of the next month! Let’s say you send out your eNewsletter the morning of February 20th, and you receive an email or call of a hostess asking to have a party on March 1st – that gives you a full eight days to get invitations in the mail, get her some catalogs to show for outside orders, etc. You can still get some of the vital Hostess Coaching steps in even with a party the very first day. Likewise, with the Business Opportunity information, most every Party Plan Company has a blueprint for getting started on the right track in the first month of her career. With eNewsletter software, you can also track your statistics to see who opened your eNewsletter, what they clicked on, and whether or not they shared or forwarded the email. You can easily track what works – and what doesn’t! With anything else in your business, consistency is key. This is why I recommend The Diva Success System – it helps you to stay on track and solidify a system so that you can maintain consistency on every aspect of your Party Plan business. Your eNewsletter readers will come to know and expect an email from you each month and will look forward to reading what you have in store for them every single month. Sporadic, thrown together emails are obvious and annoying and show disorganization within your business. Create the habit, get in the routine, and give your eNewsletter the same priority as every other part of your business. An email Newsletter is a phenomenal way to increase your business quickly, economically, and effectively right from your home. You can work on your eNewsletter with your children at home, with or without a car in the driveway, or even in the middle of the night when you finally get some time to concentrate. You do not have to pick up the 600-pound phone or worry about what you are going to “say” to someone. Whatever your situation, you can begin right now to increase your business using an eNewsletter.